I purchased this Salon Express Nail Art Stamping kit for only $10! The kit comes with 5 plates with 40 designs, a image plate holder, scraper, and stamping tool, this is a great deal compared to the other nail art stamping competitor Konad. (Here are my step-by-step instructions on how to use Konad nail art stamping here.) 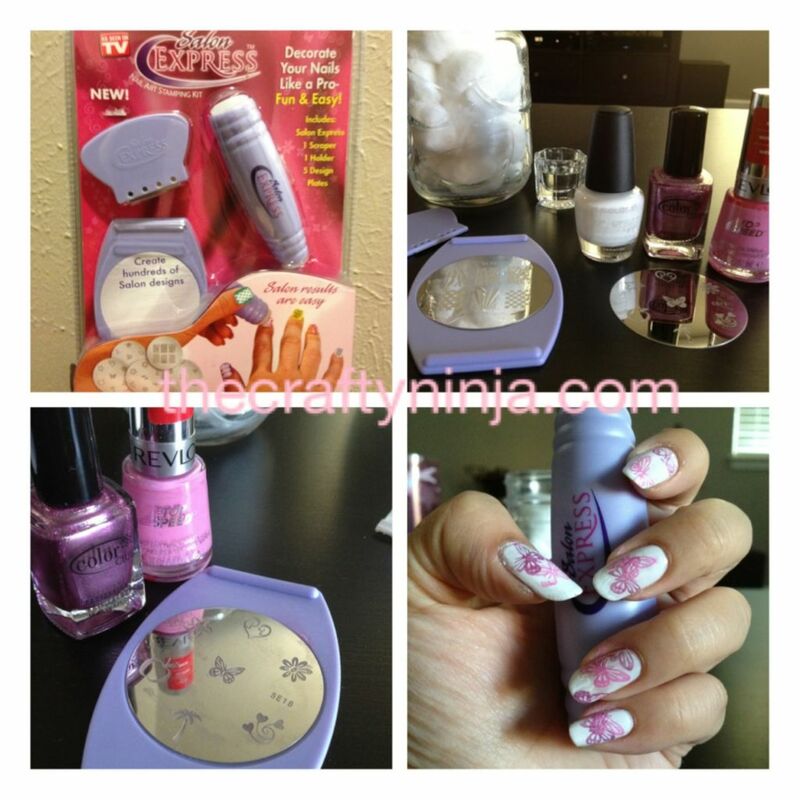 The Salon Express instructions are reader friendly and easy to follow and very similar to the Konad nail art kit. To begin you will need: thick nail polish, nail polish remover, and cotton balls. First paint your nails with a base coat, I used white polish. Take your nail polish and swipe it on your image disk, scrap off with the excess polish with the scraper. I had cotton balls soaked with nail polish remover to wipe off the extra polish on the scraper. Use the stamping tool and stamp it onto the image on your image disk. 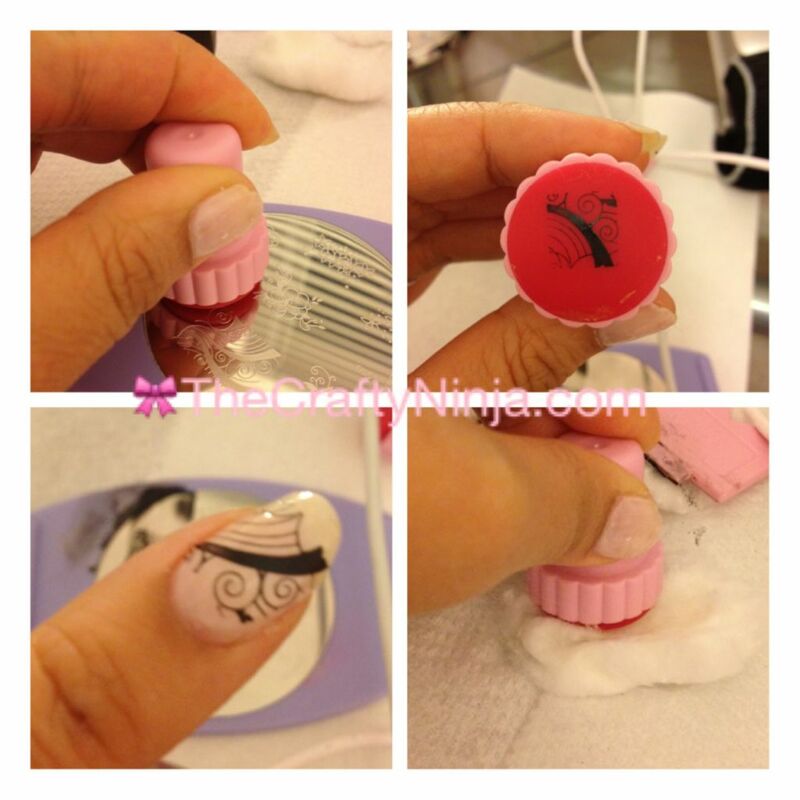 The image should be on the stamper tool, then stamp the image on your nail. I like to slightly roll so that all the image gets transferred. I used two different nail polishes and layered the look of my image for my butterflies. This wasn’t as easy as I though it would be but with practice it will get easier. The outcome looks like professional nail art from a salon.